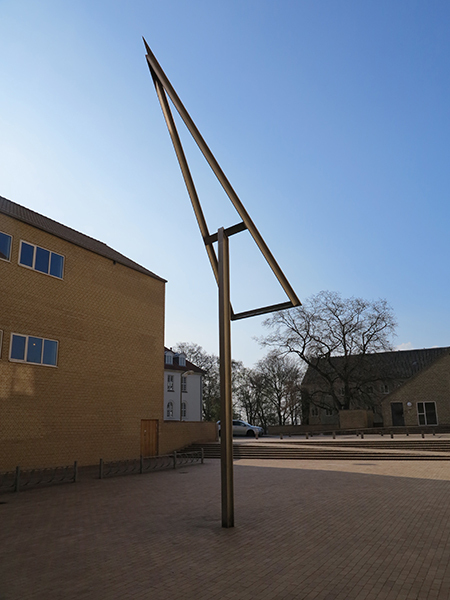 A ten metres high stainless steel structutre at the University of Aahus (DK) The inclination of the triangle is 56,2 degrees which means that the tip of the trianagle is pointing at the pole star at any time. 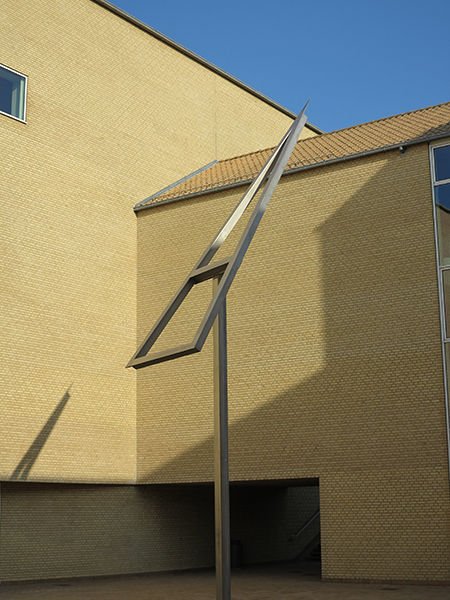 The stucture also functions as a sundial. One a year the shadow of the tip of the triangle hits a marked point on the ground of the yard thus indicating the exact time and date i.e. 12 o`clock noon June 21, the highest position of the sun. (Astronomical calculation made by astronomer Ole J. Knudsen).